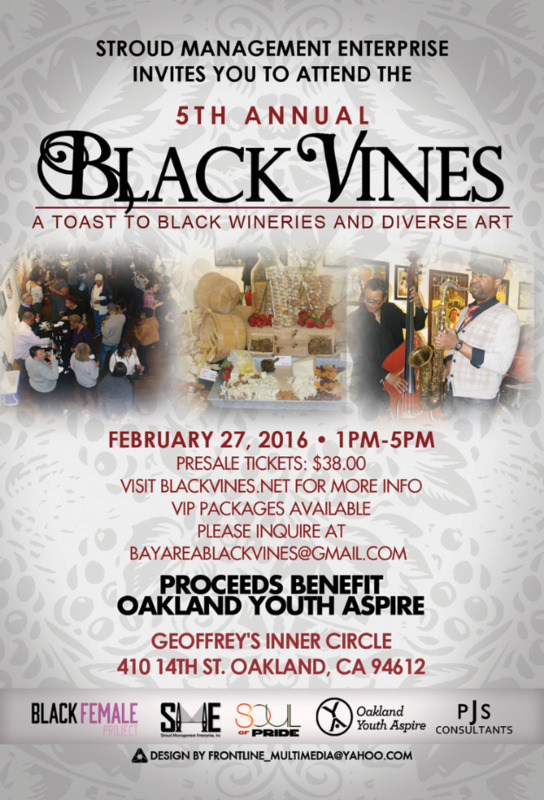 BlackFemaleProject is pleased to support Black Vines, A Toast to Black Wineries and Diverse Art, benefittingOakland Youth Aspire. This event is curated by Project Contributor Fern Stroud who is celebrating the 5th annual Black Vines! BlackFemaleProject-inspired art from Project Contributor Dania W. Frink's W-2 Warriors series will be on display as well as information about BlackFemaleProject upcoming events and developing partnerships.